Bread contains loads of minerals, vitamins, fiber, phytonutrients, and complex carbs. By eating two slices of grainy bread, you will be able to get 4g of fiber, 30g of complex carbs, and a long list of vitamins and minerals, including riboflavin, thiamine, iodine, folate, potassium, and vitamin E. By eating a couple of slices, you will be providing your body with fuel to perform better. Many studies have also found that carbohydrate grains found in bread may also help improve mood and mental performance. But does it make you fat? Two large slices offer about 600kj of energy, so it is natural to feel concerned about your waistline. Let's find out more about it. No, it does not make you fat, so long as you eat in moderation. Eating in excess can certainly increase the number of calories you consume, which will eventually lead to weight gain. 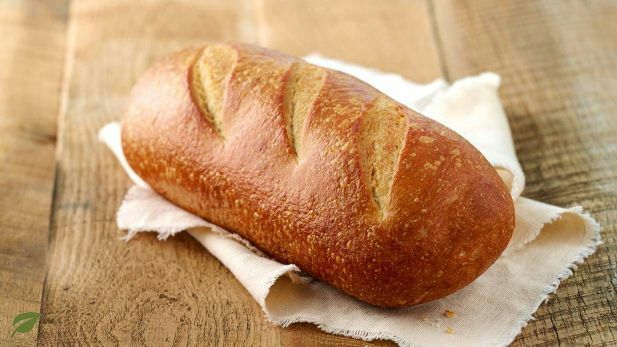 An average slice of bread (80g) provides you with about 50g of carbs and around 200 calories in total. It means that you do not have to worry about anything if you eat one or two slices of bread a day. Understand that no food really makes you fat unless you eat too much of it. Eating more calories than you can burn each day is the reason behind weight gain. If you exercise regularly, eating bread will not add inches to your waist. White bread does not contain many calories, but it is better to avoid it because it can spur cravings and make you gain weight by consuming more calories daily. That happens because refined grains do not contain fiber-rich bran and germ. It means you will be getting the starch endosperm only that your body absorbs quickly and raises your blood sugar levels. Fluctuations in blood sugar will cause cravings and make you eat more refined carbs, which is only going make you deal with a vicious cycle. If you eat bread that contains fiber, you will be feeling fuller for a long time. This prevents cravings and lowers your risk of becoming fat. You may want to limit your intake of refined grains when you are concerned about gaining belly fat. White bread provides you with refined grain and can therefore contribute to weight gain. Studies show that you will have an increased percentage of visceral fat in the abdominal region if you eat more refined grains than whole grains. Therefore, you should seriously pay attention to what type of bread you are going to eat. Be sure to opt for 100% whole grain breads. You should avoid white refined carbs because they provide you with empty calories and do not have any nutritional value. Whole grain bread is a healthy option because it provides you with protein and heart-healthy fiber. Be sure to eat in moderation and know what you put on your slices. Having a slice with too much of butter or peanut butter is only going to increase your caloric intake. Therefore, you should be careful with how you eat it. Change your diet carefully when eating bread. It means that if you have taken a toast with peanut butter for breakfast, it is a good idea to avoid the lunchtime sandwich. You may also want to have salad, soup, or other bread-less meals instead. You can also enjoy a big salad for lunch to provide you with more fiber. Consider eating your bread with some protein and fat. It is obvious that a small piece of bread is not going to provide you with enough energy. You can use nut butter, cheese, an egg, or avocado to make your bread a lot more filling. As mentioned already, avoid overeating because what you put on your slices may contain loads of calories. Keep in mind that bread contains starch and it is better to avoid combining it with other starch. For instance, if you are going to order pizza and pasta, you should skip the garlic bread. For sandwiches, you should consider eating with a side green salad. For burgers, avoid fried and instead opt for a side salad.